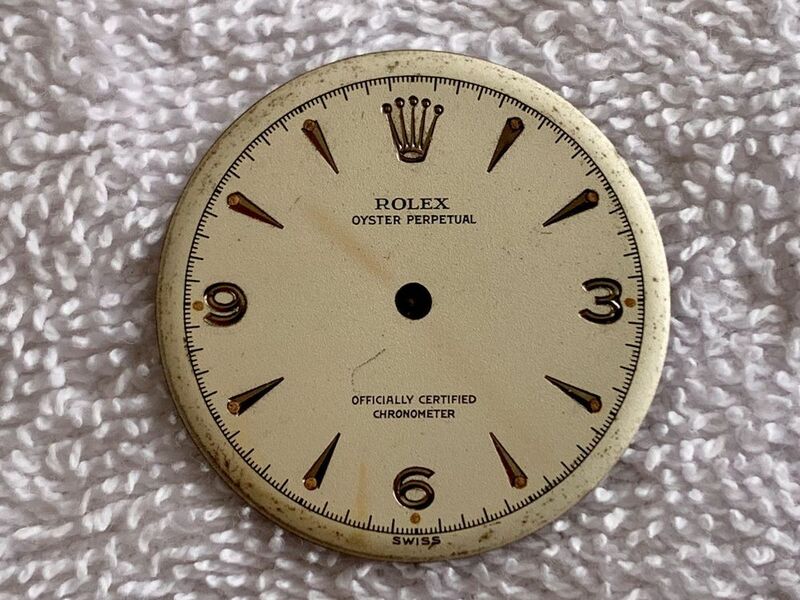 Absolutely stunning and rare vintage Rolex Dial for reference 6284 steel. Original condition from the 50s. It’s for a 34mm Case. Impossible to find, take your chance! You are bidding for the dial only, not for the watch.